Grandson of the founder of Ralston-Purina, William Danforth took his family’s deep belief in education and public service to heart. 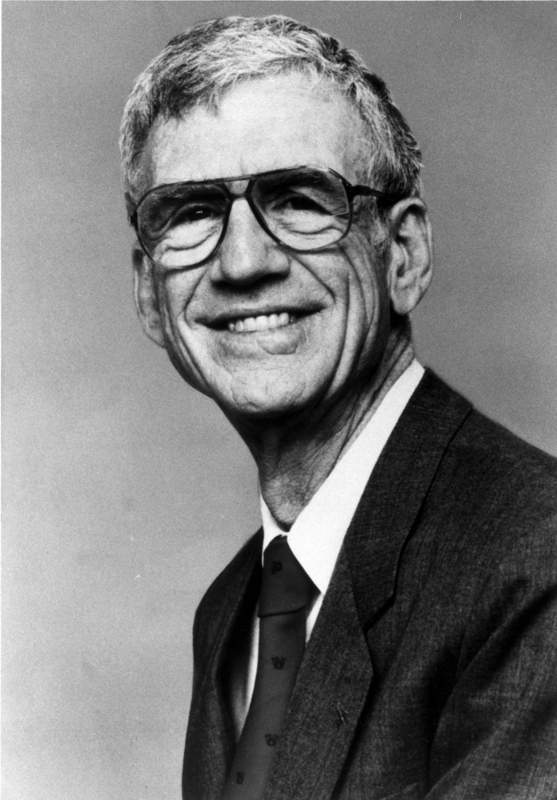 After serving as a doctor in the Navy, Danforth returned to St. Louis and joined Washington University’s medical faculty in 1957. He became Chancellor of the University in 1971, an office he held for an unprecedented 24 years. Beloved by students, he united the University community and promoted academic excellence while increasing the University’s endowment elevenfold. William Danforth’s skillful mediation and determined leadership ensured Washington University’s place as a world-class institution.